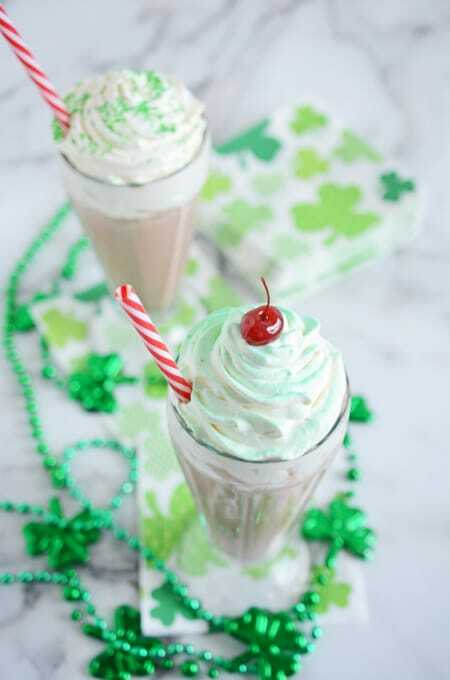 St. Patrick’s day is right around the corner and I wanted to come up with a festive and tasty concoction to celebrate the occasion. 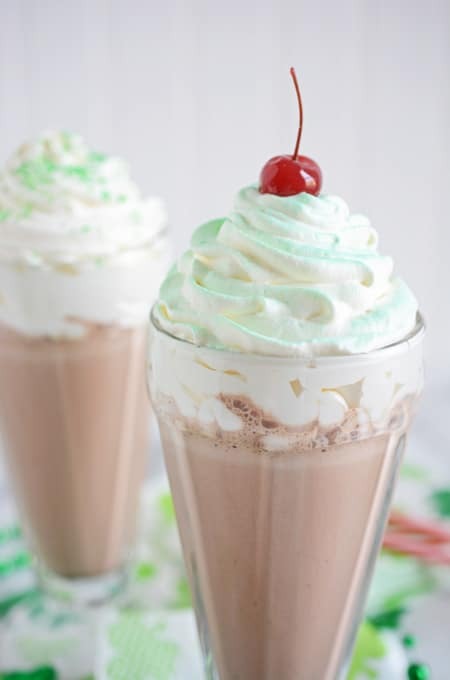 Whipping up these Mint Chocolate Chip Milkshakes is a breeze. I love spending a little time in the kitchen creating sweet treats, but sometimes that’s not necessary. You can still make something beautiful, creative and tasty in just a few minutes. Now I have a homemade chocolate sauce recipe right here for you, but if you want something super fast you can use the bottled stuff. 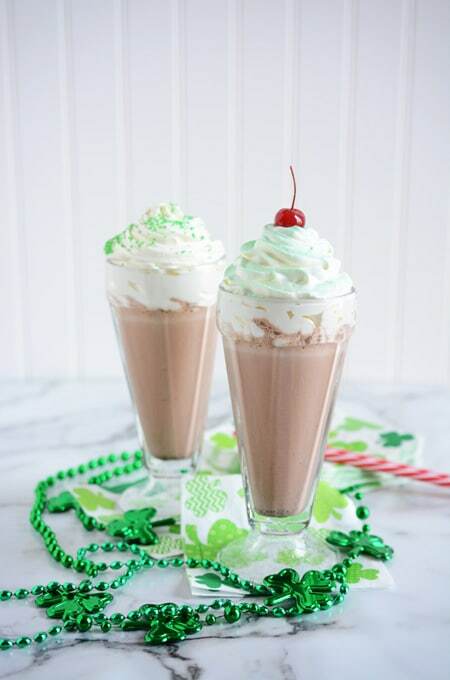 Don’t forget to top that milkshake off with some Homemade Whipped Cream. Again, something that’s easy to whip up and is worth the extra 5 minutes to do. 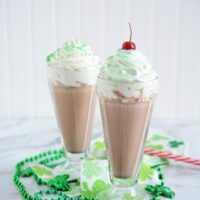 You may also like these recipes: Chocolate Chip Monster Milkshake, Pumpkin Pie Ice Cream Float and Mudslide. I’m always on social media: Facebook, Instagram, Twitter, Pinterest and Yummly. 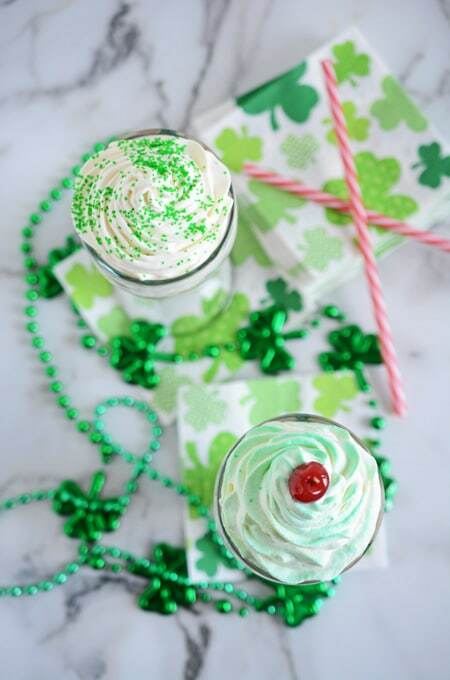 Get weekly updates on what you may have missed on The Cake Chica as well as hearing about what’s coming up next by signing up for The Weekly Recap. Whisk together in a medium saucepan cocoa powder and sugar. Add water and malted milk powder and stir to combine. Bring just to a boil over medium heat, stirring constantly with a rubber spatula. Reduce the heat to low and simmer for 3 to 5 minutes. Remove from the heat at set aside to cool. Process all ingredients in a blender until smooth and frothy. 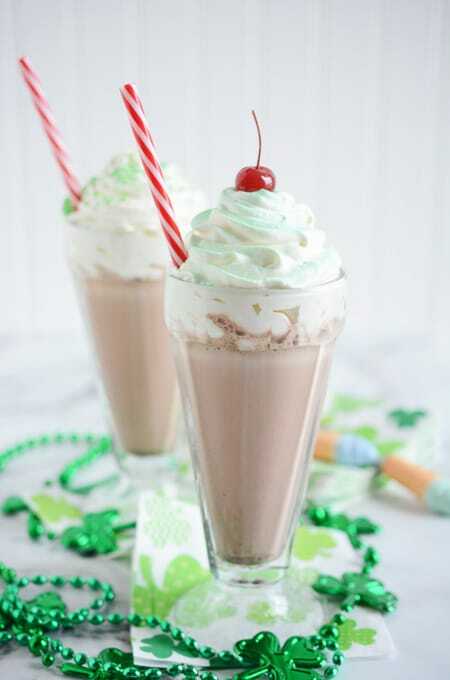 Divide evenly among 2 milk shake glasses and garnish with Whipped Cream, sprinkles and Chocolate Syrup. 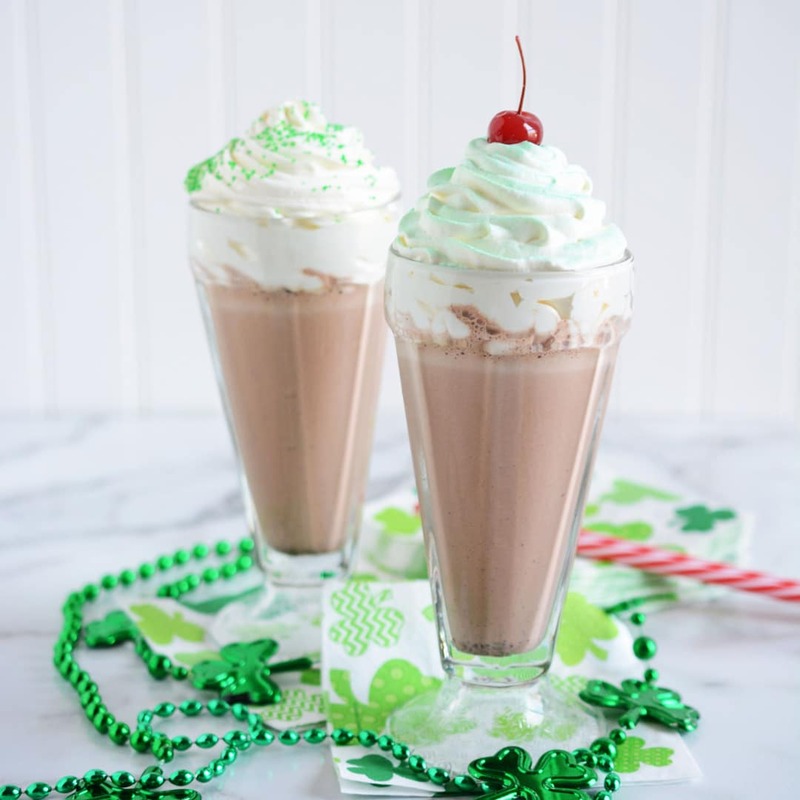 Leftover Chocolate Syrup can be stored covered at room temperature for about 3 days or refrigerated for 2 to 3 weeks. Reheat on the stove or in a microwave to liquefy.